“The Rise of DC’s Black Intelligentsia after Reconstruction,” a walking tour of LeDroit Park. 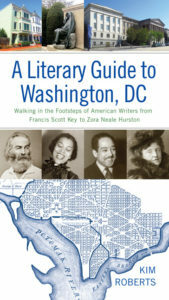 This tour focuses on two remarkable writers who lived in Washington, DC in late 1890s to the early 1900s. Paul Laurence Dunbar was the first African American poet to become nationally known. His wife, Alice Dunbar-Nelson, is less well known, but she was also an accomplished writer of poetry, fiction, and journalism. In addition, she taught high school, and was an activist for civil rights and women’s rights. Both writers were in the first generation removed from slavery. This tour tells the story of their accomplishments, their unhappy marriage, and his early death. It also provides context for their lives in DC, discussing the African American intelligentsia who were drawn to LeDroit Park and the surrounding Shaw neighborhood in the years between the end of the Civil War and World War I. Stops on the tour include the site of the Dunbars’ two DC homes, as well as the homes of eminent neighbors: Robert and Mary Church Terrell, Christian and Sara Fleetwood, James E. Walker, and Anna Julia Cooper. Other sites include the Dunbar Theater in the Southern Aid Society Building, Howard Theater, and Lucy Diggs Slowe Hall. Limited to 30 participants. $45 fee. Advance registration required through Politics & Prose Bookstore Excursions.